A well-known South African scholar has made the perceptive comment that “It may be more damaging to establish a fundamentally flawed Truth Commission than to pursue an alternative strategy” (Paul van Zyl, Dilemmas of Transitional Justice: The Case of South Africa). As I write this, there is considerable discussion in the public domain about South Africa’s Truth and Reconciliation Commission and other connected institutions, and their relevance to our own country’s current challenges and policy choices. There has been a fruitful exchange of insights over the years, and continuity in this regard is certainly desirable. The South African dimension comes into sharp focus today, in light of reports, not yet officially confirmed, that arrangements are likely to be made for delegations of religious leaders, Parliamentarians and even judicial personnel to visit South Africa for the purpose of exposure to developments in that country. 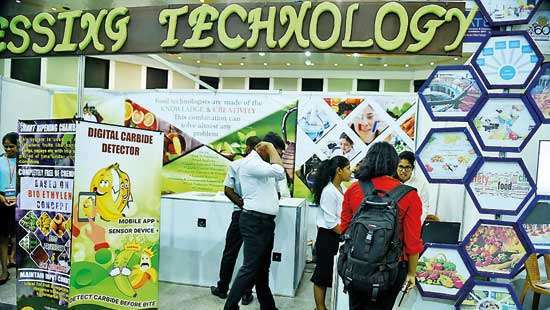 Re-inventing the wheel is a futile exercise, since the issues with which Sri Lanka is grappling at present, have bedevilled other countries during different epochs in history, and comparative experience is a useful guide. But it cannot be stressed too strongly that no two situations are identical, and that remedies which have proved successful in whole or in part elsewhere, have necessarily to be modified to suit the combination of circumstances in our country. The South African Commission was, of necessity, the product of a situation where a dominant and ruthless minority, by the unrestrained use of elaborate State machinery of their own creation, committed systemic crimes of unspeakable brutality against the oppressed majority over many decades. It was evident that, without compromise and rapprochement, the bitter divisions marked by pervasive violence would escalate to the point of anarchy. It is this harrowing dilemma that is reflected in the remark by Reinhold Niebuhr that the South African solution represented “an approximation of brotherhood under the conditions of sin”. This contextual assumption can scarcely aspire to universal validity. The current circumstances in Sri Lanka and post-apartheid South Africa offer a singular contrast rather than a basis for comparison. In South Africa, for a period of 42 years, the government controlled by the National Party formalized and maintained a system of institutionalized racism which deprived South African blacks of their civil and political rights and entrenched, through the infamous Pass laws and other means, the principle of segregation in education, health care, transport and all other public services. This was done by a slew of more than a hundred legislative instruments, including the Group Areas Act, which comprised, in their total impact, an apparatus of savage oppression that shocked the conscience of the world. When disintegration of the social fabric, resulting in turmoil beyond control, proved unavoidable, negotiations between the National Party and the African National Congress between 1990 and 1993, with the participation of other groups, paved the way to an orderly and peaceful transition of power from the minority oppressor to the majority oppressed. In Sri Lanka, on the other hand, the watershed in 2009 was brought about by the military defeat of terrorism, and establishment of the authority of the legitimate government throughout the land. While, in South Africa, a regime which blatantly violated the core values of human dignity and democratic governance was replaced by a government freely elected by the population, as a whole, in Sri Lanka, it was political and moral legitimacy that prevailed over terror. There is the further difference that, in South Africa, the substantive negotiations between the principal adversaries, extending over four years, served directly to identify and develop the components of the settlement. These discussions formed the foundation of the democratic elections of 1994, passage of the interim Constitution, establishment of the Constitutional Court and creation of the Truth and Reconciliation Commission by appropriate statutory measures. In Sri Lanka, by contrast, the discussions, albeit essential, assume the character of a post hoc intervention. 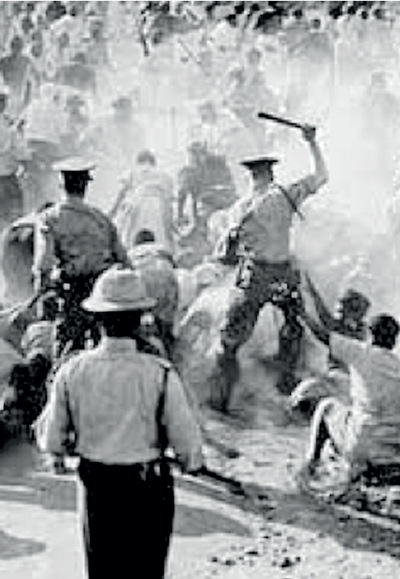 It is important to bear in mind that South African institutions set up to implement the healing process were specifically mandated to examine and report on the entire period covered by the atrocities of the apartheid regime, encompassing three major phases – 1960-1976 (the Sharpeville shootings to the Soweto Uprising), 1976-1983 (commencement of the state of emergency) and 1983-1990 (the “unbanning” of political parties). Suggestive of a totally different perspective, the investigation envisaged for Sri Lanka is arbitrarily confined to the closing stages of the war. The thinly veiled motive is to do everything possible to deflect attention from dastardly acts of terrorism and to point the finger of accusation at agencies of the State. A telling criterion of the degree of objectivity is furnished by the spirited exhortation to Tamil groups at a recent symposium in Durban by Ms. Navanetham Pillai, former United Nations High Commissioner for Human Rights, under whose tenure the onslaught on Sri Lanka began, to persevere relentlessly with their campaign. Substantial monetary recompense was integral to the overall solution envisioned in South Africa. 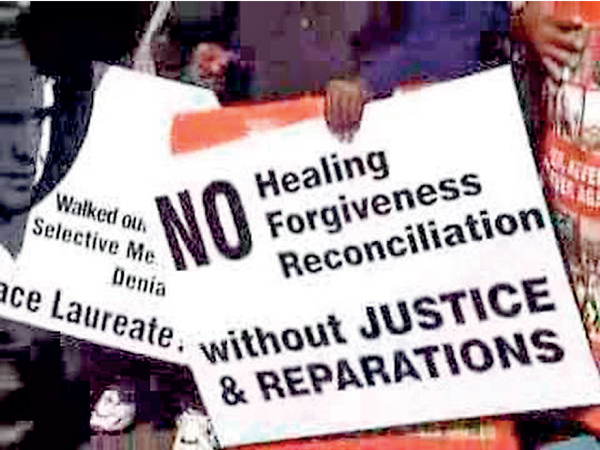 The Truth and Reconciliation Commission, in one of its salient recommendations, insisted that every victim or family should be paid approximately three thousand five hundred U.S. dollars each for six years. It is unlikely that compensation on this scale would be a realistic option in Sri Lanka. 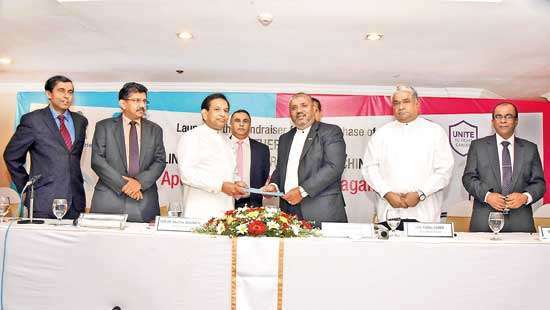 Several policy statements made from time to time by leaders of the Government of Sri Lanka seem to suggest the intention to establish a “Compassionate Council” comprising religious leaders of different faiths as a constituent organ of the Truth and Reconciliation Commission proposed for our country. The precise purpose and function of this Council, and the scope of its authority, are yet to be defined. 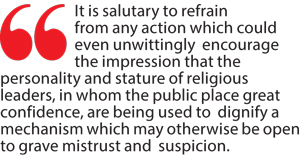 It is salutary to refrain from any action which could even unwittingly encourage the impression that the personality and stature of religious leaders, in whom the public place great confidence, are being used to dignify a mechanism which may otherwise be open to grave mistrust and suspicion. Certainly, the structural framework of the South African Commission offers no parallel whatever. The South African Commission contained three Committees – the Committee on Amnesty, the Committee on Human Rights Violations, and the Committee on Reparation and Rehabilitation of Victims. None of these Committees had a segment consisting of religious leaders, chosen and appointed as such, nor did they, by virtue of their spiritual standing, form a separate entity. Archbishop Desmond Tutu served as Chairman of the Commission, but had no special role deriving from his position in the Anglican Church of South Africa. The Commission was conceived in South Africa as a temporary body with a restricted mandate and limited resources, and was in no way invested with broad responsibility for finding solutions to deep societal issues such as poverty and deprivation. It would be a profound error to entertain excessive expectations with regard to a truth commission mechanism: the higher the level of aspiration, the greater are the prospects of disillusionment. If any single feature typifies the spirit of the South African experience, it is robust hostility of all the protagonists, throughout the political spectrum, to any form of foreign intervention, let alone foreign dominance. Alex Borie, Vice-Chair of the Commission, in his work, “A Nation Unmasked”, of which I was privileged to receive an autographed copy from the author, emphasized to me in a conversation at the time their unshakable resolve to find home-grown solutions evolved by South Africans themselves. Among the great powers of the world, there was not a single country that did not desire some form of involvement in the South African peace process. Let it not be thought, moreover, that this process went forward smoothly and in an unbroken sequence through those excruciatingly difficult years. There were many breakdowns and suspensions of talks. On at least three occasions there was the real likelihood that the parties, who walked away from the table in anger and disgust, would be unable to resume discussions. And yet, through it all, South African political leaders were unswerving in their resolve not to accept any offer of foreign mediation or even foreign facilitation. Where recourse to judicial process was required to impute responsibility f or criminal acts and to uphold the principle of accountability, it was unthinkable, in the setting of the South African process, that foreign judges would be assigned a role in exercising judicial power within the country, in matters involving life and death, freedom and imprisonment. The inspiring graphics on the walls of the Constitutional Court bear ample testimony to the strength of national symbolism. The Government of Sri Lanka, on the other hand, has had no compunction in adopting as its own, and calling on other countries to endorse, a Resolution in the Human Rights Council which called for the setting up of a judicial mechanism involving participation of “Commonwealth and other foreign judges”, supported by foreign prosecutors and foreign investigators. This mechanism is to be vested with responsibility for trying members of the Armed Forces. In several previously published papers, I expressed vehement opposition to this. A recent editorial in the Government’s leading English language newspaper declared, without a tinge of shame, in response to my views, that “Sri Lanka, regarded as a poor third world nation, should indeed be fortunate and honoured to be a junior partner in a powerful bloc of Western nations”. The question before the public is whether a national outlook bereft of soul and courage of conviction is a fitting legacy for a nation justly proud of its identity, its intellectual prowess and its cultural traditions; and whether servility is to be regarded as a badge of honour and a tolerable basis for constructing the future of our people. The line of demarcation between the criminal justice process and the qualitatively different approach of the reconciliation mechanism was established, firmly and with a sense of pride, within the contours of the South African legal system. In cases where recourse to criminal prosecution was considered appropriate, South African courts showed themselves very much in control of their nation’s destiny. Examples are provided by the conviction of high level members of the Police Force for the attempted murder of Rev. Frank Chikane and the successful prosecution of Colonel Eugene de Kock. This, in fact, operated as a powerful impetus for significantly increased access to the Truth and Reconciliation Commission. There were, at the same time, the high profile acquittals of former Minister of Defence, Magnus Malan, and the former Head of the Chemical Weapons Programme, Dr. Wouter Basson. Side by side with these judicial proceedings, the Truth and Reconciliation Commission of South Africa, with not the faintest prompting from abroad, performed their statutory function. 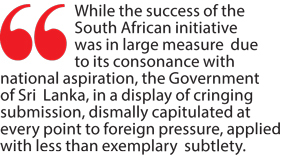 While the success of the South African initiative was in large measure due to its consonance with national aspiration, the Government of Sri Lanka, in a display of cringing submission, dismally capitulated at every point to foreign pressure, applied with less than exemplary subtlety. (i) The criminal process, in the name of accountability, occupies centre stage in Sri Lanka. The Government itself co-sponsored, in the Human Rights Council, a Resolution which “noted with appreciation”, and called for the implementation of, a Report which found “reasonable grounds for believing” that the Armed Forces of the country committed some of the gravest crimes known to international law. This strong prejudgment, founded on testimony from anonymous sources and emphatically endorsed by the Council, cannot but cast a long shadow over subsequent criminal proceedings. (ii) In Sri Lanka, there is the further element that an international body has recommended the introduction into our legal system of entirely new offences, to be given retrospective operation, as the basis of charges to be brought against military personnel, especially with regard to “various modes of criminal liability, notably command or superior responsibility”. (iii) This is to be buttressed by “specific legislation establishing an ad hoc hybrid special court integrating international judges, prosecutors, lawyers and investigators”. The obvious danger is that the process will be driven and controlled by the very forces which have incessantly targeted our military and police on the flimsiest of evidence but with an abundance of prejudice. (iv) In those cases where, despite all these imaginative innovations, military personnel still cannot be brought within the net of liability, a special administrative procedure is recommended for the removal of officers and soldiers who have incurred displeasure. Viewed in all its aspects, this apparatus is nothing short of diabolical in its calculated intent to invoke the severest sanctions of the criminal law. If military personnel are put on trial in accordance with these arrangements, they are encumbered in a variety of ways which represent an affront to justice and fairplay. The conceptual pivot of the Report and Resolution on Sri Lanka by the Human Rights Council is a view of accountability which puts the emphasis on notions of retribution and the exacting of punishment. The Resolution calls in strident terms for “the full range of judicial measures including individual prosecutions”. The South African approach was quite different. Peter Story identifies, as the distinguishing characteristic of the South African Commission, its espousal of “a different kind of justice than one that metes out harsh punishment”. Hayner finds of particular value the Commission’s attitude which “went further than any other commission in incorporating psychological support into its operational structures”. The central preoccupation was with assuaging the pain and anguish of the victims and giving them the support they needed to go on with life in the most dire circumstances, rather than pursuing the victims inexorably. This was very much the thrust of the conversations I had in Pretoria with Mr. Dullah Omar and Mr. Valli Moosa, my South African counterparts at the time as Minister of Justice and Minister of Constitutional Affairs. 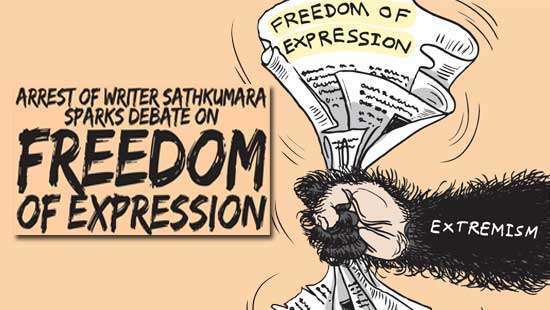 The course of action pursued by the Government of Sri Lanka is precisely the opposite. Concerted moves to dismantle the country’s security apparatus by the overhaul of core security legislation, the use of terrorism related legislation to imprison military personnel while releasing large numbers of terrorist cadres found by a thorough process to be unsuitable for early rehabilitation, and the grant of unfettered access to foreign personnel to sensitive Navy installations are among the decisions which give rise to legitimate unease on the part of a large segment of our society. This is exacerbated by the spectacle of politically inspired hartals, fasts unto death and other manifestations of pressure to twist the Government’s arm while, at the international level, there is clear evidence of revived activism by the diaspora and the purported “Prime Minister of the Transnational Government of Tamil Eelam” has appointed a panel of international experts to monitor progress towards the establishment of a special judicial mechanism in Sri Lanka to try war crimes. These developments reflect not the spirit of ubuntu or humanism, which was the sheet anchor of the South African process but, regrettably, polarization and mutual recrimination in an especially dangerous form. It is well to pay heed to the wise admonition by Demond Tutu against the self-destructive goal of “justice with ashes”.